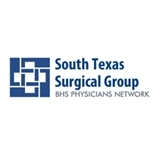 South Texas Surgical Group (San Antonio) - Book Appointment Online! South Texas Surgical Group aims to provide the highest level of surgical care, personalized treatment plans and expert knowledge that patients need to heal. Our skilled surgeons bring decades of experience, education and training to each and every patient encounter. Whether it’s a simple procedure or complex surgical intervention, thousands of patients have relied on our thorough assessments, honest recommendations and operating room expertise to improve their health. Our surgeons are trained in many advanced surgical approaches, including: Basic and advanced laparoscopic surgery Basic and advanced minimal invasive surgery Robotic surgery High complexity general surgery Weight loss surgery Our goal is always to use the method that results in the best outcome and quickest recovery, while minimizing risk as much as possible. Great! Doctor & staff were wonderful. Doctor explained everything in detail and the appointments are right away no wait to be seen. I would recommend her to everyone.